When I received this Sao Paulo dress, I immediately knew it was going with me on vacation and that I was going to wear it on the beach. Don’t you think it’s just the perfect beach dress? You don’t need anything else. Just the dress and you’re all set and ready to go to the beach! And at the same time, it’s also the perfect evening dress for a summer night out when you add some heeled sandals. We shot these photos at Corralejo beach, right before the sun went down. The wind was blowing so hard! You can see that quite clearly in some of the shots, as my hair is going all over te place, haha! But luckily, messy hair is the perfect beach look! What do you think of my new dress and outfit? Wauw wat een mooie foto’s !! Ik vind vooral de 2e foto echt Prachtig !!!!! Die jurk staat je fantastisch, en wat een mooie foto’s wederom! Awww mooiste foto’s ooit!!!!! Echt prachtig lieverd!!!! Mooie foto’s en bijzondere jurk! Wauw, wat een mooie foto’s en jurk! Ooh ik ben jaloers op die locatie! Wauw wat sta je prachtig op de foto’s! The dress is stunning, I van definitely see it being transformed into the nighttime. Prachtige locatie en prachtige jurk! Je ziet er echt top uit! Hij staat je echt prachtig die jurk! En de 5de foto is echt zo mooi! Hele mooie foto’s! De jurk staat je super! WIN a handmade & unique item from Mocca, enter the giveaway on the blog! Waaaaauw Sonja wat mooi! Wat een prachtige foto’s! 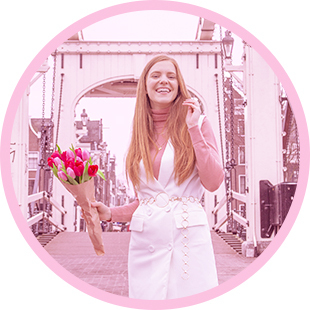 Ik vind dit je mooiste outfit + fotografie die ik tot nu toe op je blog heb gezien. Echt prachtig! Je ziet er zoals altijd weer helemaal geweldig uit! :) Die maxidress is echt zo geweldig! Prachtige foto’s! De jurk staat je echt geweldig.